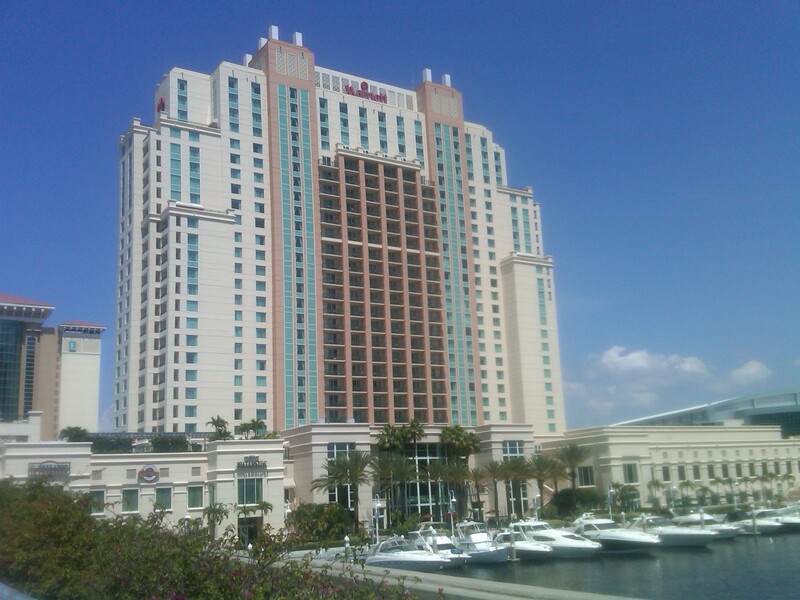 The second night of my stay I decided to stay at the Tampa Marriott Waterside, which is located downtown in the Channelside district, next to the Tampa Times (formerly St. Pete Times ) forum. 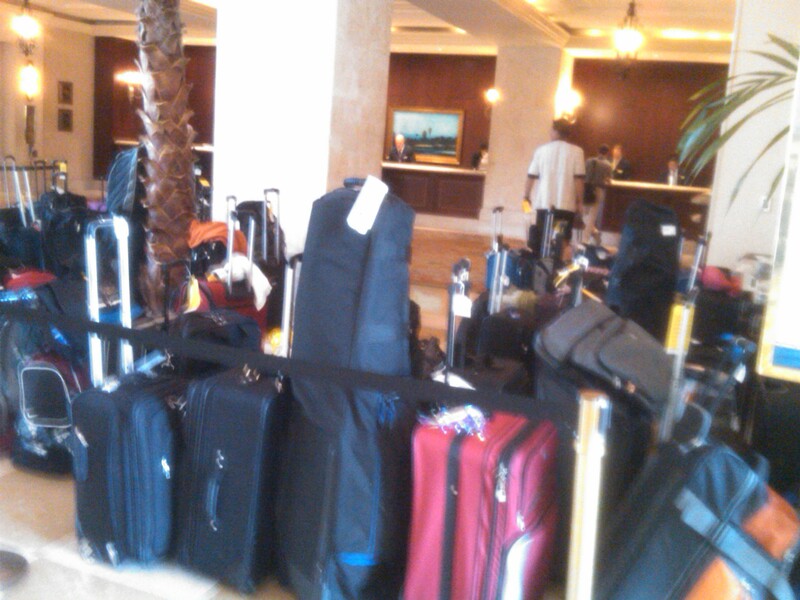 Things were a little hectic when I walked in, considering that a large group had their baggage sitting around. After navigating the maze to check-in, I was recognized as a valued Gold Elite member, and told that I had been given a room on the 25th (of 27) floor with a water view. The room was above other rooms with a balcony, but did not have one itself. 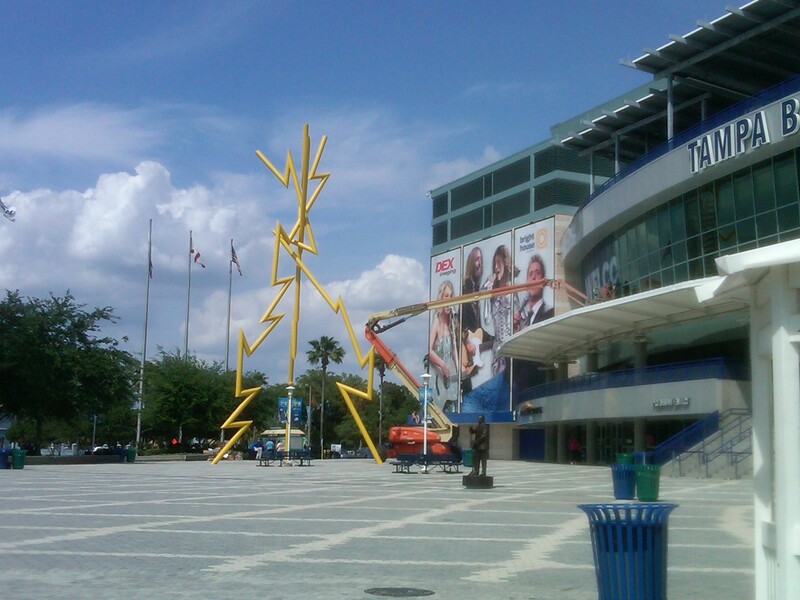 This bugged me a little bit, but at least I didn’t have any chance of a railing obstructing my view. I went online and checked to see if any suites were available, and found that they were still selling some. 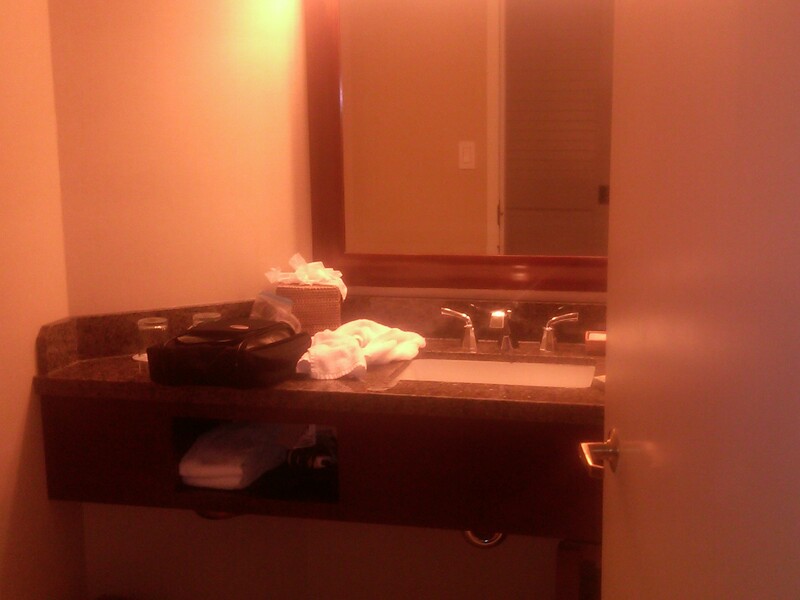 I went back down to the front desk and inquired about being upgraded to a suite. Without even checking, she flatly told me (with a smile of course) that there weren’t any available. I quickly replied that their were suites available on their website. She finally checked, and told me it was on the 4th floor, and thought it had a city view. I was still a little bit skeptical, but thought for just one night it would better to have a room higher up with a much better view. And really, I didn’t spend a whole lot of time in my room. anyway. What would you do? The room seemed a little small, especially compared to my last hotel room. Right after entering the room, there was a long closet on the right, and the bathroom to the right. 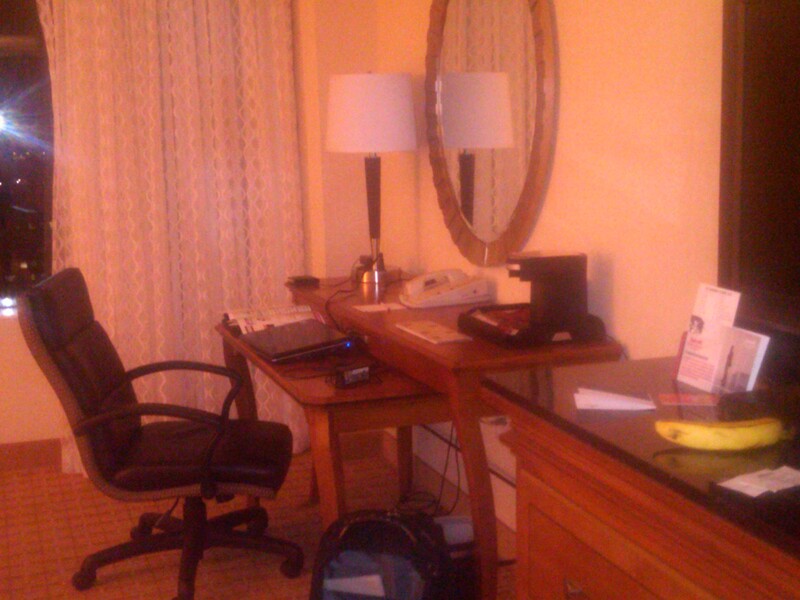 Across from the bed, was the desk area, which made for a pretty good workspace. 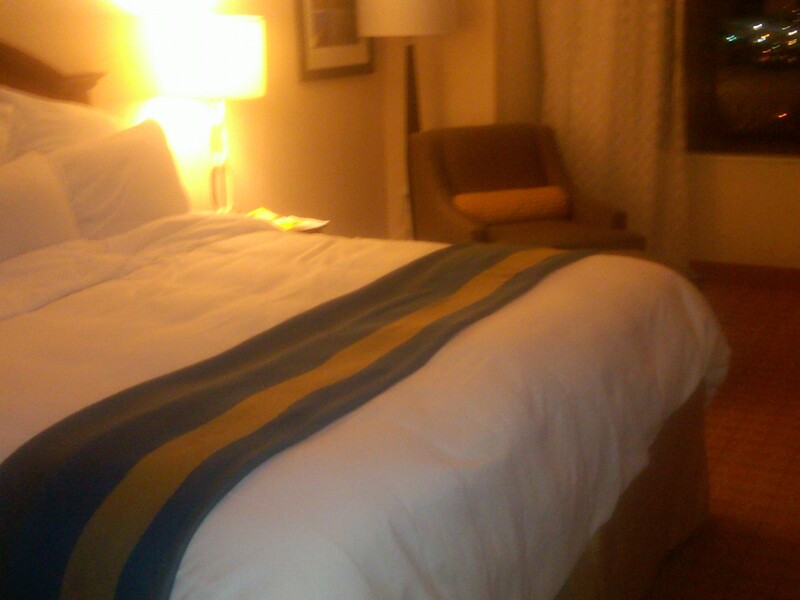 Overall, I would rate the hotel as decent. 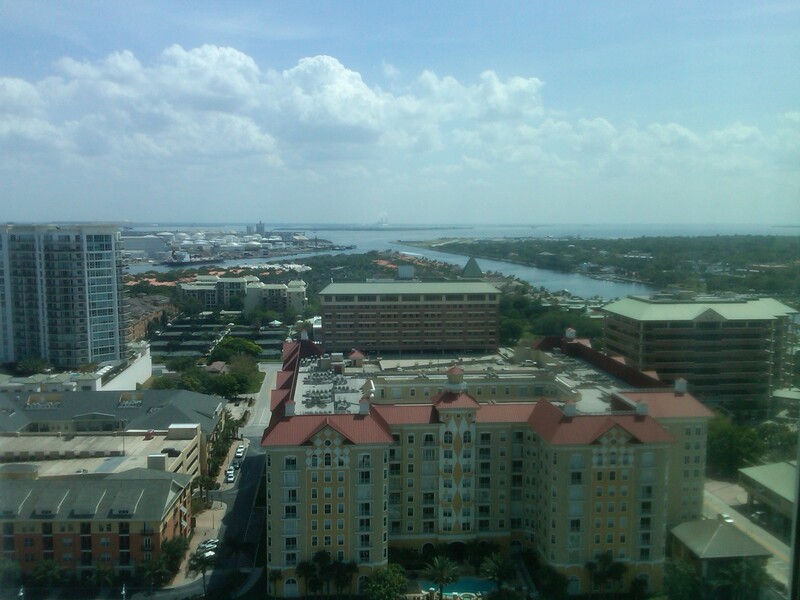 It was good to be recognized as a Marriott elite, and be automatically given a high-floor room with a decent view. But they didn’t seem forthright and honest with me, especially about just the possibility of a suite upgrade. And never did they mention that since the Club Lounge was closed (over the weekend) that I would be able to receive complimentary breakfast in the restaurant. In the end it worked out fine, since I grabbed something from Starbucks, but they could have at least informed me about this benefit.